Don't Cha (Feat. 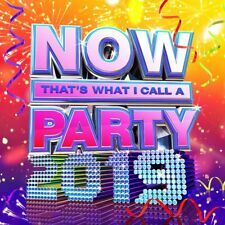 Product Now That's What I Call a Party 2019 - Various Artists (Album) [CD]. Shut Up and Dance - Walk the Moon. Just Dance (Feat. Colby O'Donis) - Lady Gaga. Ring Ring (Feat. Rich the Kid) - Jax Jones & Mabel. ). Pink : The Truth About Love CD (2012)Title: The Truth About Love Artist: Pink Genre: Rock/Pop|Pop Duration: 51.23 mins Format: CD / Album Type: CD No. 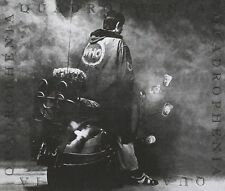 of Discs: 1 disc(s) Studio / Label: RCA UK Release Date: 17 Sep 2012 Explicit Lyrics: Yes. 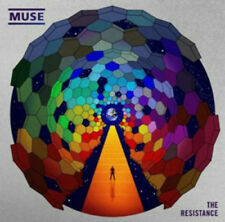 Muse : The Resistance CD (2009)Title: The Resistance Artist: Muse Genre: Rock/Pop|Rock Format: CD / Album Type: CD No. 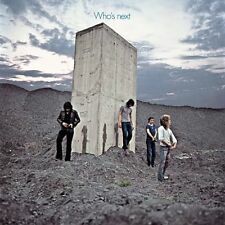 of Discs: 1 disc(s) Studio / Label: Warner Bros Records UK Release Date: 14 Sep 2009. Blondie : Greatest Hits CD (2002)Title: Greatest Hits Artist: Blondie Genre: Rock/Pop|Punk/New Wave Duration: 67.40 mins Format: CD / Album Type: CD No. of Discs: 1 disc(s) Studio / Label: EMI Music UK UK Release Date: 21 Oct 2002. Ed Sheeran : X CD (2014)Title: X Artist: Ed Sheeran Genre: Rock/Pop|Singer/Songwriter Duration: 50.05 mins Format: CD / Album Type: CD No. 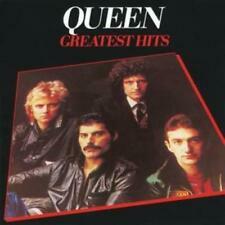 of Discs: 1 disc(s) Studio / Label: Atlantic UK Release Date: 23 Jun 2014. Westlife : The Love Album CD (2006)Title: The Love Album Artist: Westlife Genre: Rock/Pop|Pop Duration: 42.10 mins Format: CD / Album Type: CD No. of Discs: 1 disc(s) Studio / Label: RCA UK Release Date: 18 Nov 2006. Various Artists : Now That's What I Call Music! 90 CD (2015)Title: Now That's What I Call Music! 90 Artist: Various Artists Genre: Rock/Pop|Compilation Format: CD / Album Type: CD No. of Discs: 2 disc(s) Studio / Label: NOW UK Release Date: 30 Mar 2015. Various Artists : Now That's What I Call Drive CD (2014)Title: Now That's What I Call Drive Artist: Various Artists Genre: Rock/Pop|Compilation Format: CD / Album Type: CD No. of Discs: 3 disc(s) Studio / Label: NOW UK Release Date: 15 Sep 2014. Various Artists : 101 Power Ballads CD (2009)Title: 101 Power Ballads Artist: Various Artists Genre: Rock/Pop|Compilation Format: CD / Album Type: CD No. 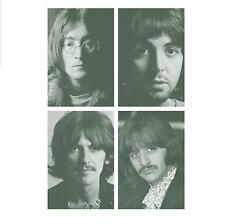 of Discs: 6 disc(s) Studio / Label: EMI TV UK Release Date: 12 Oct 2009. Gloria Estefan : Greatest Hits CD (2004)Title: Greatest Hits Artist: Gloria Estefan Genre: Rock/Pop|Pop Duration: 66.50 mins Format: CD / Album Type: CD No. of Discs: 1 disc(s) Studio / Label: Epic UK Release Date: 26 Jul 2004. Spice Girls : Spice CD (1996)Title: Spice Artist: Spice Girls Genre: Rock/Pop|Pop Format: CD / Album Type: CD No. of Discs: 1 disc(s) Studio / Label: Virgin Records UK Release Date: 04 Nov 1996. Disc 1 7 Who Do You Think You Are 3.59 mins. Eurythmics : Ultimate Collection CD (2005)Title: Ultimate Collection Artist: Eurythmics Genre: Rock/Pop|Pop Duration: 79.40 mins Format: CD / Album Type: CD No. of Discs: 1 disc(s) Studio / Label: RCA UK Release Date: 05 Nov 2005. The Bee Gees : One Night Only CD (2017)Title: One Night Only Artist: The Bee Gees Genre: Rock/Pop|Pop Format: CD / Album Type: CD No. of Discs: 1 disc(s) Studio / Label: UMC UK Release Date: 21 Jul 2017. Disc 2 4 Rebel Yell 4.47 mins. Various Artists : Now That's What I Call the 80s CD (2007)Title: Now That's What I Call the 80s Artist: Various Artists Genre: Rock/Pop|Compilation Duration: 236 mins Format: CD / Album Type: CD No. Artist ELECTRONIC Title ELECTRONIC (1991 FACD290) Label: EMI Records. Of Discs: 1 disc(s) Studio / Label: Virgin Records UK Release Date: 04 Mar 1996. Disc 1 4 The Living Years 5.33 mins. Disc 1 1 All I Need Is a Miracle '96 5.43 mins. Disc 1 13 A Beggar On a Beach of Gold 4.33 mins. Disc 1 2 Beep 3.48 mins. Various Artists : Now That's What I Call Music! 63 CD (2006)Title: Now That's What I Call Music! 63 Artist: Various Artists Genre: Rock/Pop|Compilation Duration: 147 mins Format: CD / Album Type: CD No. Coldplay : X & Y CD (2005)Title: X & Y Artist: Coldplay Genre: Rock/Pop|Rock Duration: 62.30 mins Format: CD / Album Type: CD No. 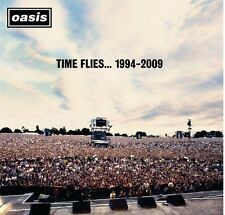 of Discs: 1 disc(s) Studio / Label: Parlophone UK Release Date: 06 Jun 2005. Various Artists : Now That's What I Call Music! 64 CD (2006)Title: Now That's What I Call Music! 64 Artist: Various Artists Genre: Rock/Pop|Compilation Duration: 150 mins Format: CD / Album Type: CD No. Spice Girls : Greatest Hits CD (2007)Title: Greatest Hits Artist: Spice Girls Genre: Rock/Pop|Pop Duration: 54.40 mins Format: CD / Album Type: CD No. of Discs: 1 disc(s) Studio / Label: Virgin Records UK Release Date: 12 Nov 2007. The Bangles : Greatest Hits CD (1995)Title: Greatest Hits Artist: The Bangles Genre: Rock/Pop|Pop Duration: 48.20 mins Format: CD / Album Type: CD No. of Discs: 1 disc(s) Studio / Label: Sony Mid-Price UK Release Date: 17 Apr 1995. Various Artists : Now That's What I Call Music! 87 CD (2014)Title: Now That's What I Call Music! 87 Artist: Various Artists Genre: Rock/Pop|Compilation Format: CD / Album Type: CD No. of Discs: 2 disc(s) Studio / Label: NOW UK Release Date: 07 Apr 2014. Savage Garden : Affirmation CD (1999)Title: Affirmation Artist: Savage Garden Genre: Rock/Pop|Pop Duration: 53.40 mins Format: CD / Album Type: CD No. 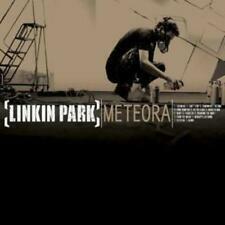 of Discs: 1 disc(s) Studio / Label: Columbia UK Release Date: 08 Nov 1999. 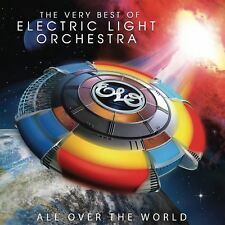 Electric Light Orchestra : All Over the World: The Very Best of Electric LightTitle: All Over the World: The Very Best of Electric Light Orchestra Artist: Electric Light Orchestra Genre: Rock/Pop|Rock Duration: 78.20 mins Format: CD / Album Type: CD No. Black Sabbath : Paranoid CD (1996)Title: Paranoid Artist: Black Sabbath Genre: Rock/Pop|Hard Duration: 42 mins Format: CD / Album Type: CD No. of Discs: 1 disc(s) Studio / Label: Castle UK Release Date: 26 Feb 1996. The Killers : Sam's Town CD (2006)Title: Sam's Town Artist: The Killers Genre: Rock/Pop|Rock Duration: 47.40 mins Format: CD / Album Type: CD No. of Discs: 1 disc(s) Studio / Label: Vertigo UK Release Date: 02 Oct 2006. 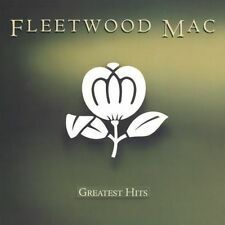 Fleetwood Mac : The Very Best of Fleetwood Mac CD (2009)Title: The Very Best of Fleetwood Mac Artist: Fleetwood Mac Genre: Rock/Pop|Rock Format: CD / Album Type: CD No. of Discs: 2 disc(s) Studio / Label: Rhino UK UK Release Date: 19 Oct 2009. Zoom > Staying at Tamara's - George Ezra (Album) [CD]. Product Staying at Tamara's - George Ezra (Album) [CD]. Primary Artist: George Ezra. Format: CD. 5 Paradise. Discs: 1 disc(s). Studio: Columbia. Catalogue No: 88985459782. Sam Smith : In the Lonely Hour CD (2014)Title: In the Lonely Hour Artist: Sam Smith Genre: Rock/Pop|Pop Format: CD / Album Type: CD No. of Discs: 1 disc(s) Studio / Label: Capitol UK Release Date: 26 May 2014. The Eagles : The Complete Greatest Hits CD (2013)Title: The Complete Greatest Hits Artist: The Eagles Genre: Rock/Pop|Rock Duration: 144 mins Format: CD / Album Type: CD No. 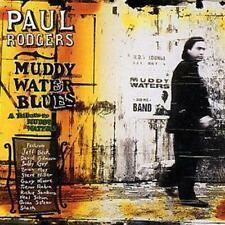 of Discs: 2 disc(s) Studio / Label: Rhino UK UK Release Date: 29 Apr 2013. Biffy Clyro : Only Revolutions CD (2009)Title: Only Revolutions Artist: Biffy Clyro Genre: Rock/Pop|Rock Duration: 42.49 mins Format: CD / Album Type: CD No. of Discs: 1 disc(s) Studio / Label: Warner Bros Records UK Release Date: 09 Nov 2009. Adele : 25 CD (2015)Title: 25 Artist: Adele Genre: Rock/Pop|Pop Duration: 48.01 mins Format: CD / Album Type: CD No. of Discs: 1 disc(s) Studio / Label: XL UK Release Date: 20 Nov 2015. Disc 1 9 Million Years Ago 3.47 mins. THE TRAVELING WILBURYS. The Devil's Been Busy. Wilbury Twist. You Took My Breath Away. New Blue Moon. Cool Dry Place.